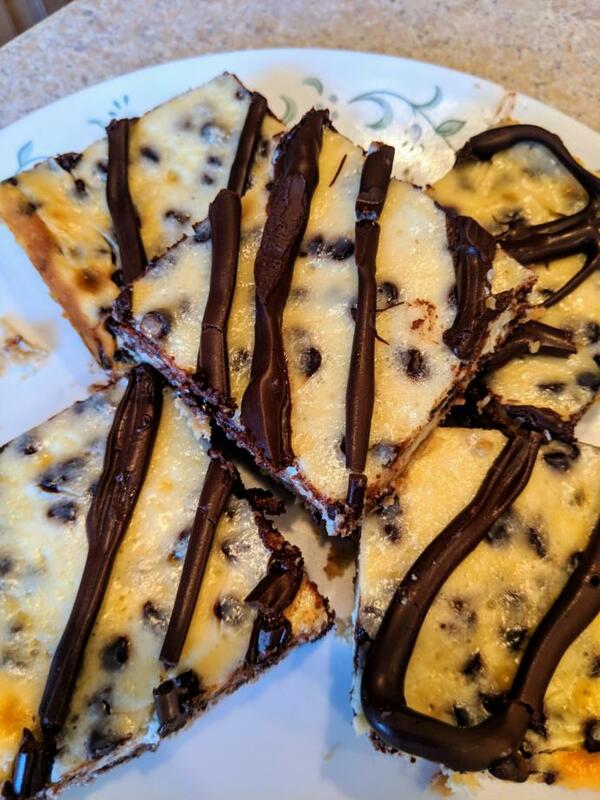 ❤️ What do you think of my chocolate chip cheesecake bars? 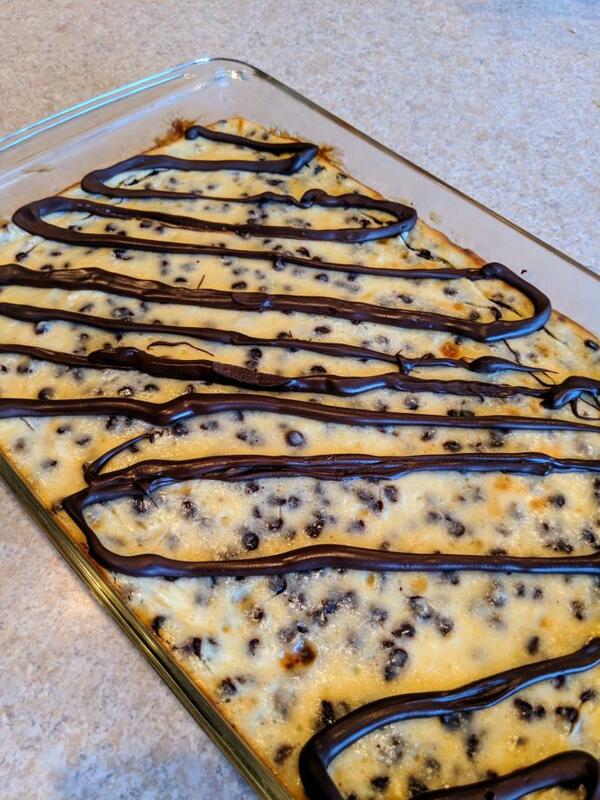 These bars fought back during the baking process, like I have so much batter in my hair right now. 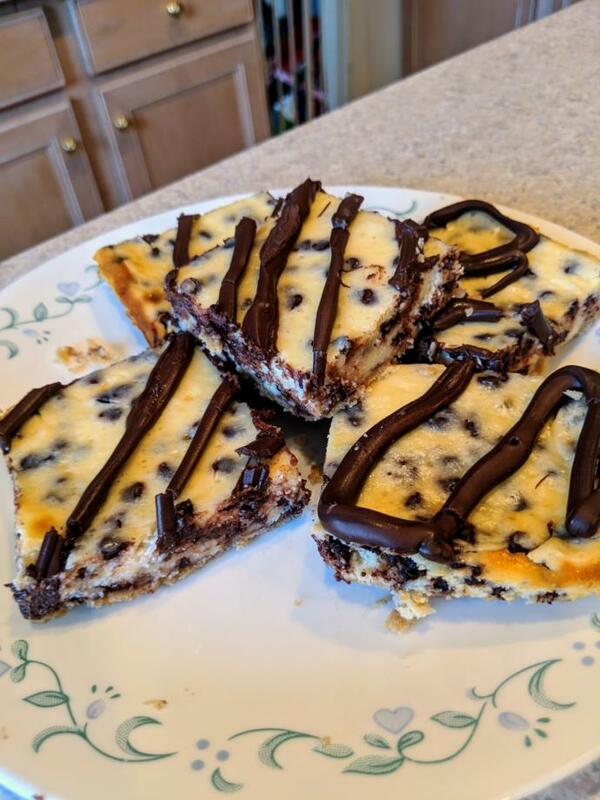 The crust is a simple brown sugar, melted butter, and flour mixture, topped with a classic fluffy cheesecake filling. I also mixed mini chocolate chips into the batter because everything is better with chocolate. Then piped melted dark chocolate on top. How'd I do, guys? They look good. The description of the crust is throwing me off a bit because I'm obsessed with a good graham cracker crust with cheesecake. I would never try them because I would never want to eat anything else ever again lol! They look so delicious!!! Damn great like always , are you a chef or getting into baking? Breakfast in bed or dining? ❤️ What do you think of my Snickerdoodles and Oatmeal Apple Cobbler muffins? What was the first alcoholic beverage you've ever drank? If you drink, what drink do you usually order? Which is better? Waffles or Pancakes? Your cooking is the reason why half of the members on Gag are leaving their gadget getting off the gag and taking a break and raiding the fridge!.. looks good but i just don't like cheesecake, but if i did i would eat it. I'll cover the entire thing in chocolate next time lol. well then, that escalated quickly lol. Haha sure, cheesecake party at my house tonight! I'll never understand how people drink that stuff lol. It looks great! I would love to try it! Looks really good! I would like some. They look very good i would them in heart beat. It's not in my tummy, therefore I must protest. You did great like always. Why are you taking my place as the chef of GaG? Cause I'm evil, remember? It's been my plan all along to take the title of Chef of GaG. Oh so it was you evil alien anon girl. Well. I won’t give up easily. I’m going to become an even greater chef. It could be darker. Much darker. A Justification for the Criminalisation of Tobacco! Relationship Advice Everyone Needs To Know! My (unasked for) and unpopular opinions The down side of hooking up 10 Benefits to Why a Girl Shall Stay Virgin Until Marriage! 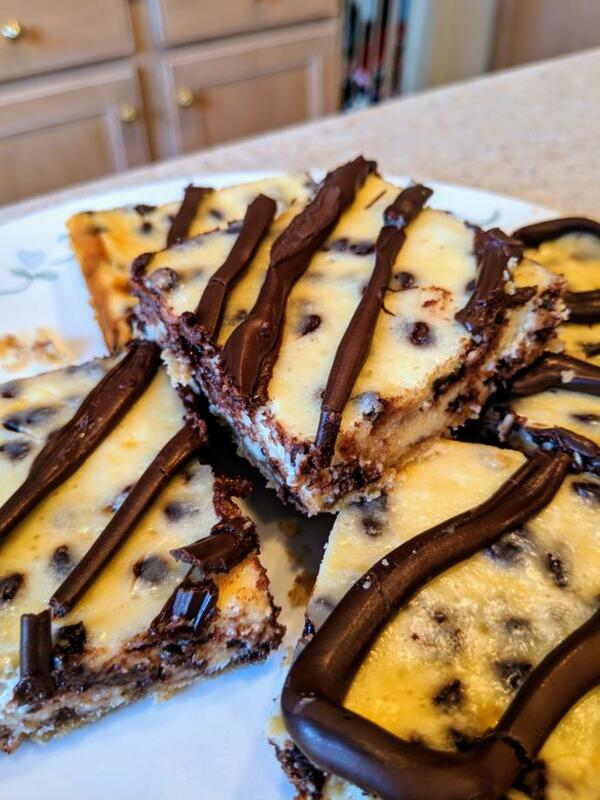 Home > Food & Beverage > ❤️ What do you think of my chocolate chip cheesecake bars?